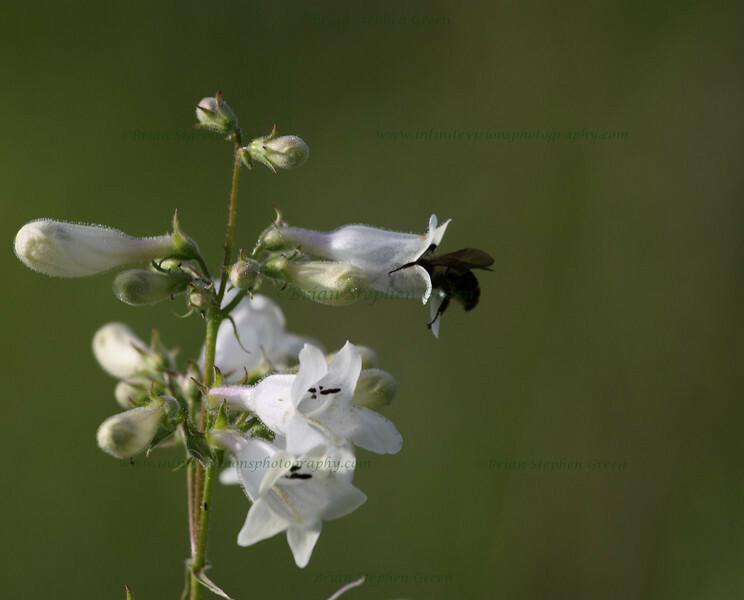 (88) "Deep Within" 6/13/10 Made a quick visit yesterday morning to my newly found field of various wildflowers, and a large expanse of Beardtongue Foxglove. The bees were up early and happily popping in and out of the deep blossoms. A capture of part of the field can be found here in my Flora gallery. A perfect day for walking around New Hope PA yesterday; clouds and possible rain on tap for today. Sounds like a good time to catch up on sorting photos :) Thanks to all for the recent comments, and hope everyone has a great day! neat capture of the bee ! Wonderful timing to capture this gorgeous shot! Gorgeous flowers and bonus bee! Excellent capture! Great detail and dof. That plant is making sure the bees pick up some pollen. Great catch.